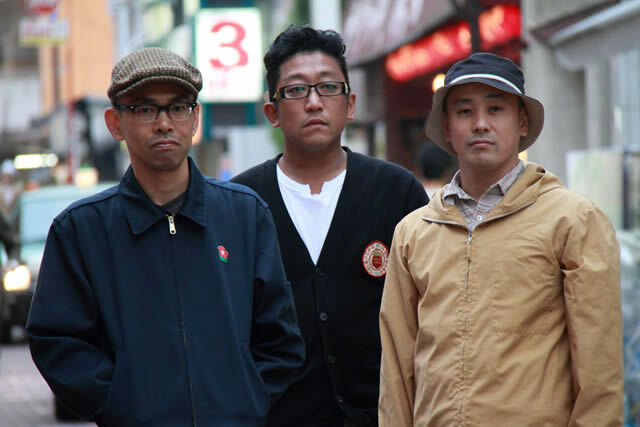 Eastern Youth formed in 1988 in Sapporo, Japan and are highly respected as one of the leading punk bands in Japan. They toured America with At The Drive-In in 2000, Jimmy Eat World in 2001, and Cursive in 2003 and again in 2006. Two albums, “Sokokara Naniga Mieruka(What Can You See From Your Place)” (2003) and “365 Ho no Blues(365-Step Blues)” (2006) have been released in America through FiveOne. The band released a split CD with Cursive in 2002. In 2008 the band celebrated their 20th anniversary with two career-spanning compilations and the second installment of 2-disc compilations documenting artists that have played at the band’s “Kyokutou Saizensen (Far-Eastern Fighting Front)” events. Their 13th album “Hohaba to Taiyou (In Pace With The Sun)” was released in September 2009 and was to be followed by a nation-wide tour in the fall that was cancelled due to abrupt health issues with vocalist Yoshino Hisashi. Yoshino has since recovered, and the tour was rescheduled in the spring of 2010. Their 14th album “Kokoro no Soko ni Hi wo Tomose (Light a Lamp at the Bottom of Your Heart)” was released May 18th 2011.